Caitlyn Jenner Gets Support from Sophia Hutchins at 'Love After Lockup' Return Celebration! Caitlyn Jenner happily strikes a pose alongside Sophia Hutchins while hitting the carpet at WE tv celebrates the return of Love After Lockup with panel Real Love: Relationship Reality TV’s Past, Present & Future at The Paley Center for Media on Tuesday (December 11) in Beverly Hills, Calif. The 68-year-old former Olympian got support from the 22-year-old executive director of her foundation, who recently described their relationship as “business partners” amid romance speculation, at the event for the show – which focused on couples who’ve found love on reality TV shows or who have starred together on them. Caitlyn was also joined at the event by Tori Spelling and husband Dean McDermott, The Bachelor‘s Nick Viall, The Bachelorette‘s Rachel Lindsay, Sherri Shepherd, Brandi Glanville, Big Brother‘s Bayleigh Dayton and Swaggy C, and Bachelor in Paradise‘s Jared Haibon and Ashley Iaconetti. Taran Killam & Cobie Smulders Couple Up at 'Night School' Premiere! Taran Killam and Cobie Smulders happy strike a pose together while attending the premiere of Universal Pictures’ Night School held on Monday (September 24) in Los Angeles. The happy couple were joined at the event by Kevin Hart‘s wife Eniko Parrish, Ben Schwartz, Ludacris, Tommy Davidson, Megalyn Echikunwoke, Anne Winters, Romany Malco, Mary Lynn Rajskub and her husband Matthew Rolph, and Bachelor in Paradise‘s Jared Haibon and Ashley Iaconetti. Also in attendance at the premiere were the stars of the film Tiffany Haddish and Kevin, who were spotted adorably leaning on each other on the carpet. Night School hits theaters on September 28! FYI: Cobie is wearing a Vivetta dress and Chloe Gosselin shoes. Ben is wearing Aldo shoes. Paris Hilton Gets Support from Paris Jackson at Boohoo Event! Paris Hilton shines on the pink carpet while attending the boohoo.com x Paris Hilton Collection Launch Party on Wednesday night (June 20) at Delilah in West Hollywood, Calif. 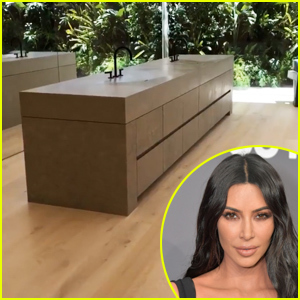 The 37-year-old media personality got support from longtime family friend Paris Jackson and rapper Lil Kim, as well as The Bachelor‘s Nick Viall and engaged couple Ashley Iaconetti and Jared Haibon. Paris collaborated with the e-retailer on a 70-piece collection featuring affordable swimwear, dresses, and more. FYI: Paris is wearing a Madiyah Al Sharqi outfit. 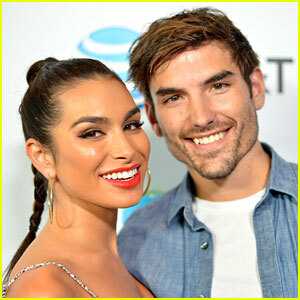 Bachelor in Paradise's Ashley Iaconetti & Jared Haibon Are Engaged! Bachelor Nation couple Ashley Iaconetti and Jared Haibon are engaged! Jared, 29, popped the question on Sunday (June 17) during the season of Bachelor in Paradise, which is filming now and will presumably air this summer. Ashley and Jared made things official in March after having a rocky road to dating. They originally sparked a relationship back in 2015 on Bachelor in Paradise, but Jared didn’t feel the same feelings that Ashley felt. They remained friends, but the timing was never right…until March. People was first to report the news. Congrats to the happy couple!